Time to chill at the pool, barbecue and (if you're from Texas) suffer from mild heat exhaustion. But regardless of where you rest your head, it remains imperative that you are fly in any weather. While everyone is out copping jumbo-sized Dior stunna shades, I'm here to show you how to get fresh with some OG Bobby Johnson type steez. 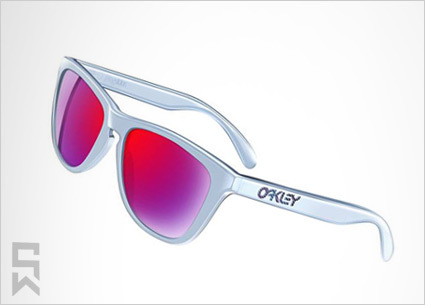 Now, Oakley Frogskins have been around since I was in preschool. So technically speaking, they've been fly for almost as long as me. Over time the Frogskins have evolved from the preferred shades of beach bums to become a staple in every fashionistas' eyewear collection. 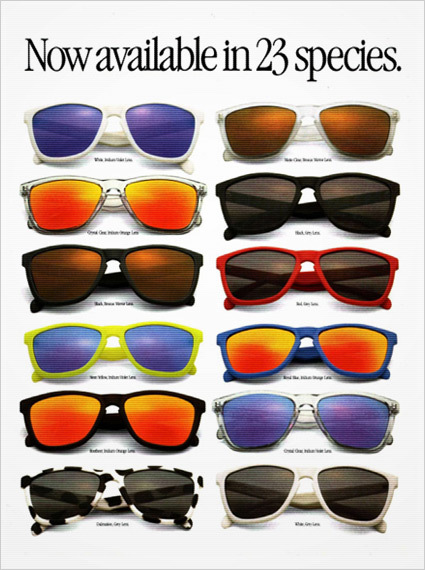 For an in-depth look at the evolution of the Frogskins, head over to 4snowboarding and peep "The History of Oakley Frogskins" feature. It's really a great read. Peep the excerpt below. 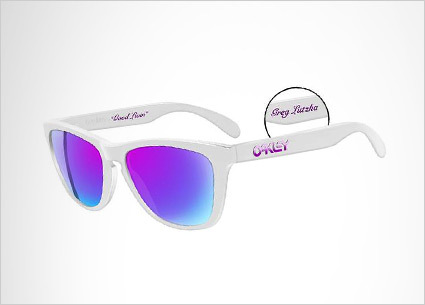 Originally retailing for $40 USD and released in over 50 color-ways since their inception, Oakley Frogskins were the classic sunglasses that helped put the brand on the map and have solidified themselves as a true piece of 80’s pop culture. 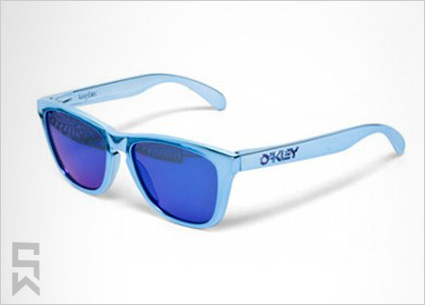 Now over 20 years later, the Oakley Frogskins have been re-issued for a new generation to embrace. While there are dozens of different models available to the public, I've taken the liberty to highlight some of the illest limited edition joints to drop this summer. 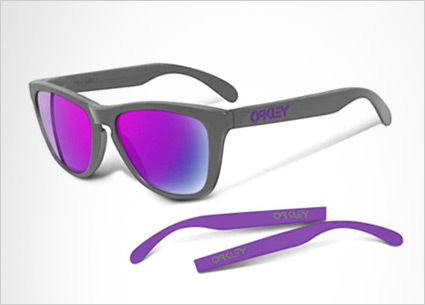 In addition to the original colorways, Oakley has teamed with different artists and athletes to conjure up some fresh new color combinations. Among my favorites are the Greg Lutzka collabo and the 4-legged collectors' editions. 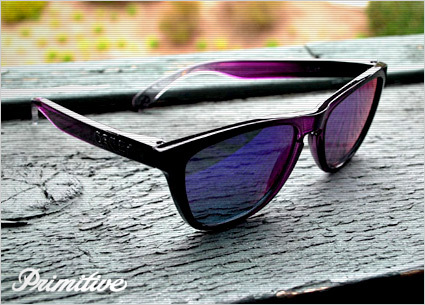 Both featuring the extra-player Violet Iridium lens. Not to be outdone, the homie Shaun White got into the mix with his own signature joints. Below you'll find the 1st and 2nd editions designed by the ginger X Games beast. 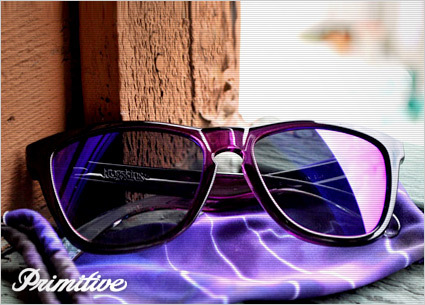 The 1st feature blue chrome frames with Sapphire Iridium lenses, while the 2nd feature the infamous Positive Red Iridium lenses. Pre-order the 2nd edition here. If you haven't realized it by now, I'm a fan of purple. So when I saw the latest collab with Primitive, I damn near wet myself. For those unaware, Primitive Shoes is the one-stop streetwear and skate shop co-owned by the greatness that is P-Rod. Whether it be his signature line of Nike SB's or a New Era collab, P-Rod never disappoints. These Frogskins are no different. 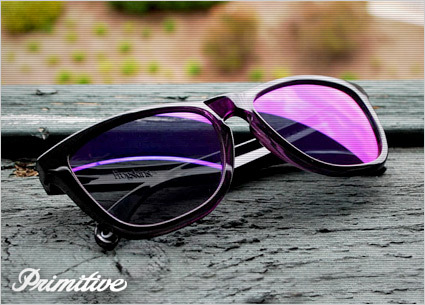 The translucent purple housing coupled with the Violet Iridium lenses make these a must have for all you playas and pimps out there. These joints are certifiably fuego. Hit the Primitive Blog for info on how and where to cop. There you have it. An entry level class in Flight School. Take what you've learned here and apply it to your everyday life. If I see you poolside with some space goggles on, there's going to be problems. 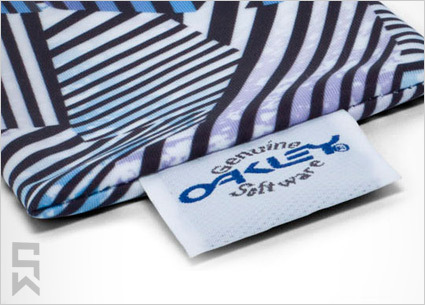 Get your mind right and be sure to keep your eyes locked on Oakley's online shop, where most of the collectors' editions can be found.